The Association of Corporate Executive Coaches (ACEC), a global organization driving results-oriented standards to define the master-level executive coaching industry, today announced the creation of a new worldwide competition, The International 2013 ACEC Executive Coaching Thought Leader of Distinction awards. This landmark program and its distinguished awards are designed to honor a person or persons who’ve made significant contributions to corporate executive coaching, specifically when their work introduces transformative and sustainable business impacts on those they’ve coached. The ACEC, founded by Bowman, a master coach with more than 20 years of experience and expertise with Fortune 500 clients, was launched in 2010. The association brings together more than 100 of the world’s elite executive coaches from over 22 countries. The reality is that many C-Suite executives of Fortune 500 and Fortune 1,000 companies lack an objective sounding board to voice their management challenges and business concerns. Corporate executive coaches, skilled in multiple verticals, help free their clients from their own echo chambers, providing expert advice with no competitive edge to be gained. • 98% have 10 years of experience inside a corporate environment as a business executive responsible for the bottom line. Nominations for the upcoming awards can be filled out online here and will continue until May 15th. 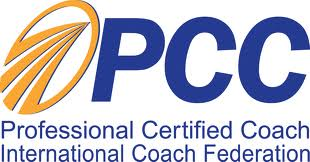 Founded in 2010, the Association of Corporate Executive Coaches has a unique global mission: To recognize master-level executive coaches and support their work worldwide through forums for continuous learning, collaboration and community – while upholding rigorous admission and credentialing requirements – so members can make the most positive impact possible on business leadership and performance. In the first few months of 2012, the ACEC re-launched its website and blog; launched a quarterly e-Magazine, “The Paradyme* Shift,” which examines industry-wide executive coaching trends, business updates and best practices; and has enjoyed a 50% increase in the group‘s membership. A new board and executive committee are also helping steer the ACEC in new and exciting directions.